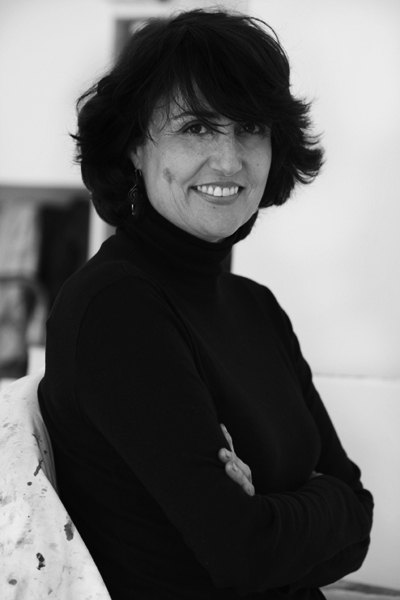 Pilar Millán resides in Berlin. Her multi-disciplinary projects tend towards the cultural, social, and political borders and their consequences in our society. In most of these projects, Millan pursues her ongoing creative explorations into fundamental concepts of diverse myths, as an archaeology of transcendental ideas of the human being and their actual manifestations. And as a European artist she tries to reflect on canonized western positions from a transcultural perspective. Millan’s work takes form in projects, most of them participatory-based. They are presented as installations that may combine photography, video, drawing and painting, objects and audios. In these installations she creates spaces that lead deep into layers of rich historical narratives in a contemporary form. 2013 Curso de arte contemporáneo. El complex de l’art. MACBA. Barcelona. 1998-2003 Licenciatura en Bellas Artes. Especialidad Pintura. Facultad de BBAA. Universidad de Sevilla. 2018 Museum für Neue Kunst. Chiharu Chiota – Pilar Millán. Freiburg. Exhibition. 2015 Neilson Gallery. Comisaria: Alicia Chillida. Grazalema, Cádiz. Solo exhibition. 2015 Sala Rivadavia. Fundación Provincial de Cultura. Cádiz. Solo exhibition. 2014 Videoinstalación. Universidad de Barcelona (UB). Barcelona. Solo exhibition. 2010 Palacio de Congresos. Valencia. Solo exhibition. 2009 Convento de Santa Inés. Sevilla. Solo exhibition. 2007 Baluarte de la Candelaria. Cádiz. Solo exhibition. 2007 Museo Provincial de Cádiz. Cádiz. Solo exhibition. 2006 Galería Giart. Gerona. Solo exhibition. 2005 Proyección y lectura. Museu d’Història de Catalunya. Barcelona. Solo exhibition. 2004 Proyección y lectura. Pintura sobre texto. Facultat de Belles Arts. Barcelona. Solo exhibition. 2003 Impresiones digitales. Translit´03. Centre de Cultura Contemporània de Barcelona (CCCB) Barcelona. Solo exhibition.